Expedia can help you save with Fighine travel packages. With all that extra money in the bank, you might even like to book a few more nights. By securing a package deal on Expedia, you can save as much as 42%*. With more than 400 airline partners and 321,000 properties worldwide, our expansive database can help make your dream vacation come true. Not 100% sure about your booking? There is no extra fee from us when you change almost any reservation. It's nice to just wander the streets in a new destination, but sometimes it's a good idea to form a plan. Grab your itinerary — we have lots of wonderful ideas for your Fighine vacation. You don't need to dress in long, flowing robes or even be particularly spiritual to take pleasure in the quiet that comes with spending a little time at Abbazia di San Salvatore. There's a fabulous range of things to keep you busy close by. Consider yourself an art lover? Lay your eyes on some intriguing works and try to make out the story behind them at Chiusi Cathedral Museum. Still have time to spare? There's an excellent array of archaeological artifacts at Chiusi National Etruscan Museum. It promises to be a fun and educational experience for the whole family! On the hunt for suitable places to rest for cheap vacations or luxury getaways in Fighine? There are around 15 properties situated near the downtown area. Pick your favorite option today with the help of Expedia. When you're feeling jet lagged, there's nothing nicer than putting your feet up in a posh room and dining on some room service. See what delectable treats await you at the Fonteverde (Localita Terme, 1) or the Hotel Vannucci (Via I. Vanni 1). Prefer cheap and cheerful? Check out the Il Borgo del Grillo (Via San Giuliano casa bebi) and the Il Felcino (Vocabolo Il Felcino 24). Based just 35 miles (56 km) away, Sant Egidio Airport (PEG) is the closest terminal to your destination. Buckle up your seat belt and make sure your seat is in the upright position — your exciting trip to Fighine is about to begin! 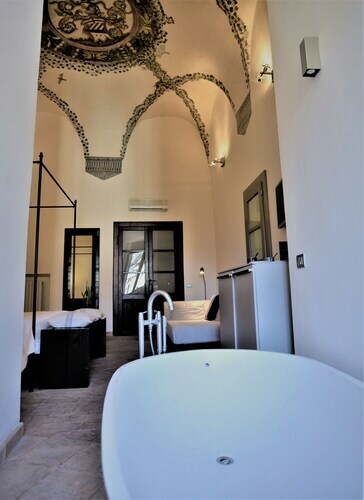 Situated in Pienza, this romantic hotel is steps from Palazzo Piccolomini, Piazza Pio II, and Palazzo Comunale. Museo Diocesano and Pienza Cathedral are also within 5 minutes. Located in the heart of Orvieto, this hotel is steps from Orvieto Underground, Duomo di Orvieto, and Teatro Mancinelli. Moro Tower and Palazzo del Popolo are also within 5 minutes. Situated in a rural location, this spa country house is within 6 mi (10 km) of Crocifisso del Tufo, Porta Romana, and Pozzo della Cava. Porta Maggiore and Duomo di Orvieto are also within 6 mi (10 km). Situated in Montepulciano, this palace is steps from Val di Chiana, Torre di Pulcinella, and Church of St. Augustine. 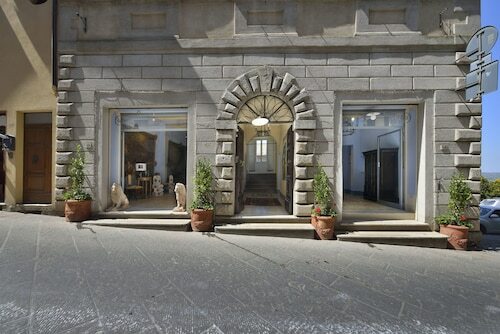 Palazzo di Bucelli and Palazzo Cocconi are also within 5 minutes. Located in the heart of Orvieto, this hotel is steps from Pozzo della Cava and Porta Romana. Porta Maggiore and Porta Vivaria are also within 10 minutes. 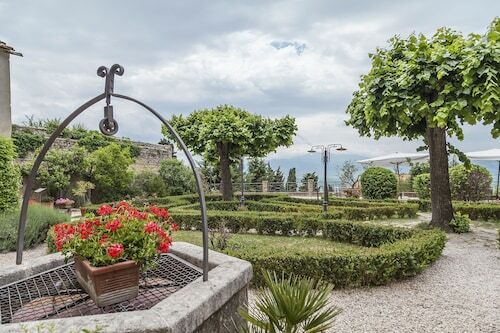 This family-friendly San Casciano dei Bagni hotel is located in a rural location, 0.1 mi (0.1 km) from Val di Chiana, and within 12 mi (20 km) of Archaeological Museum of Sarteano and Sarteano Castle. Santa Maria dei Bianchi Oratory and Rocca di Radicofani are also within 16 mi (25 km).